Fall is here, and you know what that means -- Big Games, tailgating, and game day parties! Lucky Supermarkets and Procter and Gamble know how important game day can be, so they have you covered for all your game day party needs with laundry essentials like Tide, Downy, and Bounce for those party linens, and Dawn, Bounty, Cascade, Swiffer and Febreze for the inevitable clean up. I'm excited to announce that P&G is partnering with Lucky Supermarkets to help you throw a winner of a party and bring NFL-sized savings to shoppers! 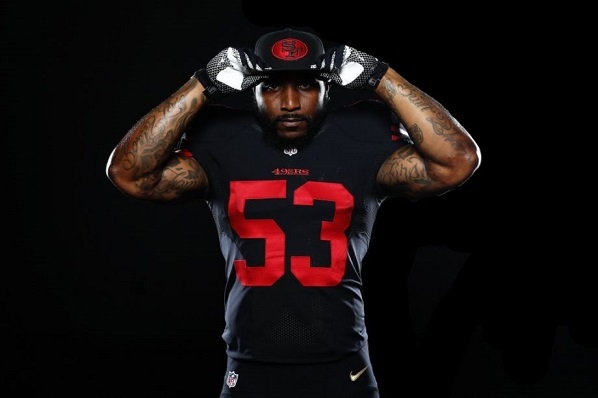 To celebrate the partnership, San Francisco 49ers Linebacker NaVorro Bowman will be appearing at the Lucky Supermarket on October 6 (details below). Also on 10/6, P&G is running a special offer. Shoppers who purchase $30 worth of P&G products (examples of brands listed above) will receive a mini pink football by bringing their receipt to the NFL event between 4:00 and 6:00. Show your receipt at the event; receive a free mini football instantly! Hope to see you there! I'll be present with my $30 worth of receipts on hand and my autograph pen uncapped! Stay tuned for a recap post of this event after 10/6 along with an awesome P&G giveaway! Disclosure: This is a compensated post. Information was provided by Blue Chip Communications on behalf of Procter and Gamble. The views and opinions expressed here are my own. Disclosure: I participated in an Influencer Activation on behalf of Influence Central for the TB Blood Test. I received a promotional item to thank me for my participation. The views and opinions expressed here are my own. Anyone who has lived in a developing country knows that tuberculosis (TB) is no joke. This disease is caused by a bacteria and usually attacks the lungs, but TB can attack any part of the body. If not treated properly, TB can be fatal. TB was once the leading cause of death in the United States; thankfully TB cases are now fairly rare in the US. However, TB is still prevalent throughout the world: TB is second only to HIV/AIDS as the greatest killer worldwide due to a single infectious agent. TB is spread through the air, so it can be a very infectious disease. That's why testing for TB is mandatory for many employers in a healthcare setting or a school setting. It's also mandatory for foreign students coming to study in the US, incoming students of any age in some states. It is also recommended for travelers who anticipate prolonged exposure to persons with TB while traveling. I've had the TB test many times since coming to the US -- as a foreign student, as an employee with a work permit, for my green card, and when I applied to work at my kids' elementary school. My kids have had it as well (all California students are required to have it). I have to be honest, the TB skin test is kind of a pain. To start with, the skin test involves injecting some fluid (called tuberculin) into the skin in the lower part of the arm. Then you have to come back to the clinic within 48-72 hours to have the injection site inspected for any reactions. There was a time I forgot to come back and have my daughter's injection site inspected, so we had to do it all over again! What's more, the injection site can get really itchy, which is annoying if your child is the one itching! But what's worse for me is that my injection site ALWAYS gets a positive result. The thing is, I grew up in the Philippines, where TB is prevalent -- so I could actually have the TB bacteria inside me. Don't worry, latent TB infection is not actually infectious. A person with latent TB infection has no symptoms and cannot spread the bacteria. The person's immune system has lived with it for years and has the TB bacteria in check. Most likely, though, the reason for my positive result is a false positive, because my dad (a doctor) injected all his kids with the TB vaccination (BCG) every year. It's well documented that previous TB vaccinations are likely to cause false positive results. This just leads to extra hassle for me because I then have to get a lung x-ray to prove that I don't have TB. In fact, the CDC does say that the TB blood test is better for people who have had BCG immunizations and for people who find it difficult to make it back for the follow-up visit! That's my family and I right there! If you're due for a TB test, make sure you ask your health provider about the TB blood test. Let's face it, you've got enough on your mind without having to worry about a missed follow-up visit or a positive test result that might not even mean anything serious. Join Thursday's #STEMchat and win a Texas Instruments graphing calculator! It's back to school for my family, and back to STEM. 3Po and Jammy have entered middle school, and after a dull math year in 5th grade, they are so excited to be challenged in their math classes and striving to get into the advanced 7th grade math track next year. The Pea has entered high school, and she's loving her Geometry Honors class! She decided against Bio Honors, opting for regular Bio so she wouldn't have to do 4 hours of homework every day. I fully supported her in this, and told her that she'll probably be happier next year with AP Physics, which has all the math she needs to challenge her! As a math geek myself, I couldn't be happier that my kids are ignoring the stereotypes about geeks and nerds in math and focusing on what challenges them and makes them happy. And as a parent, I can't help but feel hopeful that their love of math and science will open doors for them in STEM careers! This Thursday, I'm excited and honored to be joining a group of STEM advocates and bloggers at a STEM-focused Twitter chat sponsored by Texas Instruments Education Technology. Join us on Twitter with hashtag #STEMchat to talk about STEM goals, attitudes about math and the impact of things like computer programming and the Maker Movement on the traditional math class. You could even win a TI-84 Plus CE color graphing calculator! Why: Talk about all things STEM-related and win a TI-74 Plus CE color graphing calculator! We're actually giving away 2 calculators, one during the Twitter chat and a second one in a special pre-STEMchat giveaway. Head over to Kim's giveaway post on The Maker Mom to enter! You can also enter the giveaway below -- just make sure you review the requirements on Kim's post at The Maker Mom. Disclosure: This is a sponsored post and I am a sponsored panelist for the Twitter chat. The views and opinions expressed here are my own. 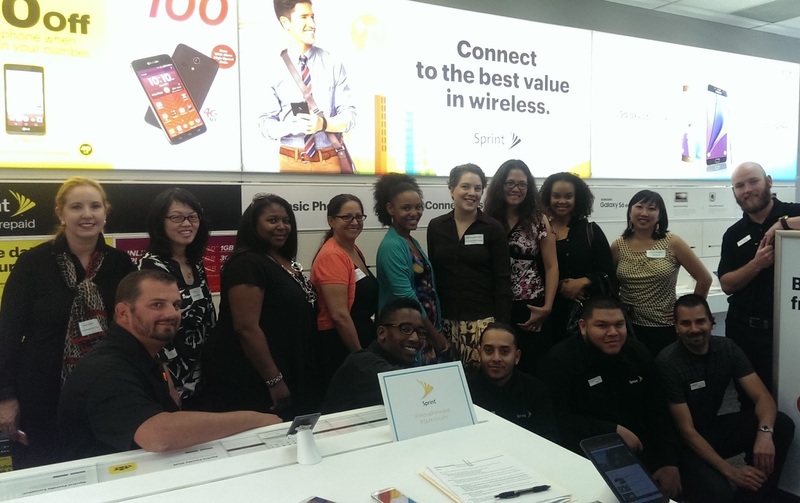 Disclosure: I participated in an Influencer Activation on behalf of Influence Central for Sprint. I received product samples to facilitate my review and a promotional item to thank me for my participation The views and opinions expressed here are my own. 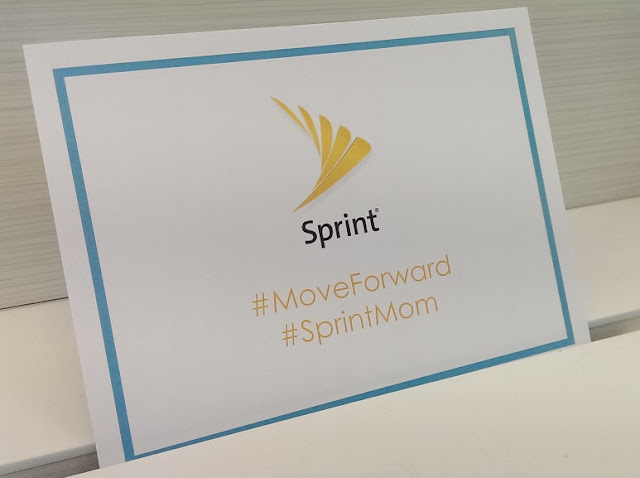 I've been a Sprint customer since 1998, and over the past 17 years, I've seen so many great new technologies change the way we live, work, and connect. Sprint has been at the forefront of all of them, and that commitment to innovation is one of the reasons I've never left. My Sprint plans have changed with the times, from talk plans to talk and text, then data, unlimited data, and family share plans. My phones have changed with the times, from an old push button phone to the clamshell to the slide-out keyboard to the smartphones of today. There has been so much change in the world of hi-tech communications, what could possibly come next? 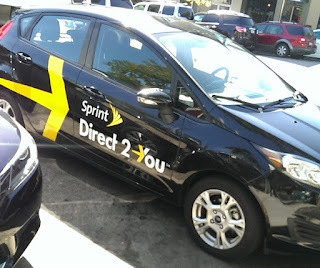 Last week I got the chance to find out as Sprint invited me and several other bloggers to check out their latest plans, devices, and services. We met at the Sprint store in San Mateo, which also happened to be a Radio Shack store -- did you know that Sprint has bought out 1400 Radio Shack stores around the country? Given Radio Shack's commitment to technology and neighborhood presence, it's actually a great match. If you're too busy to go to a Sprint store, take advantage of their new Direct 2 You service -- just order your phone and your plan online, then a Sprint customer service rep will bring your phone to you! They'll literally drive to wherever you are (wherever the Direct 2 You service is available) and help you set up your phone -- transfer your contacts, your photos, your files, etc.. and make sure you can use your phone right away. What a convenience! Even better, it won't cost you anything extra! If you have a relative coming abroad to visit, or if you're starting your child out on a cell phone plan, check out Sprint Prepaid, Boost Mobile, or Virgin Mobile. 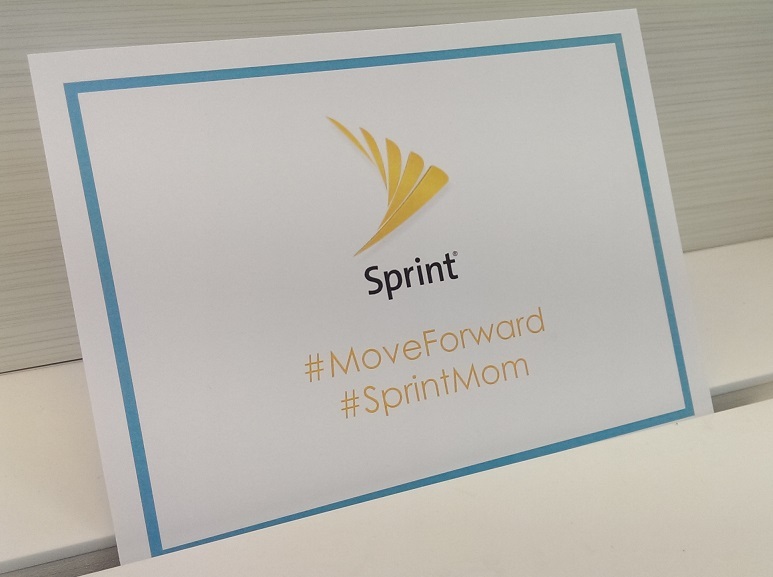 All 3 run on the Sprint network, and they have talk-text-data plans starting at $35 per month. 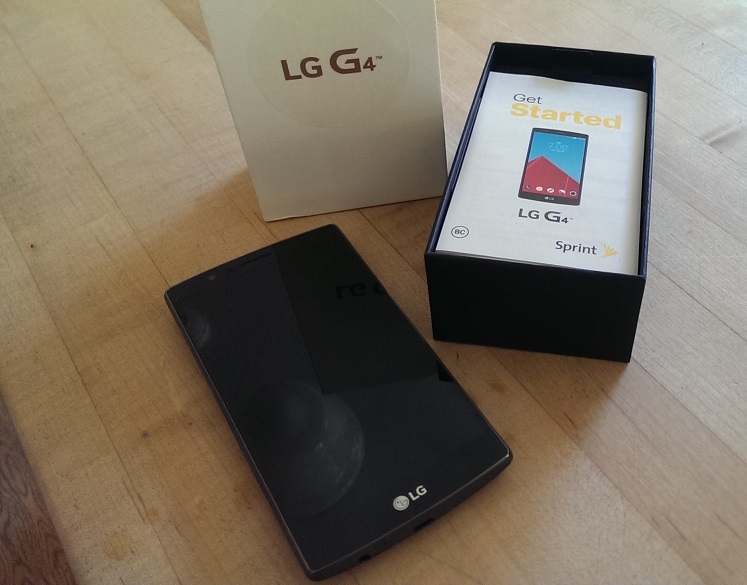 The phones associated with these plans are very affordable, some as low at just $50! 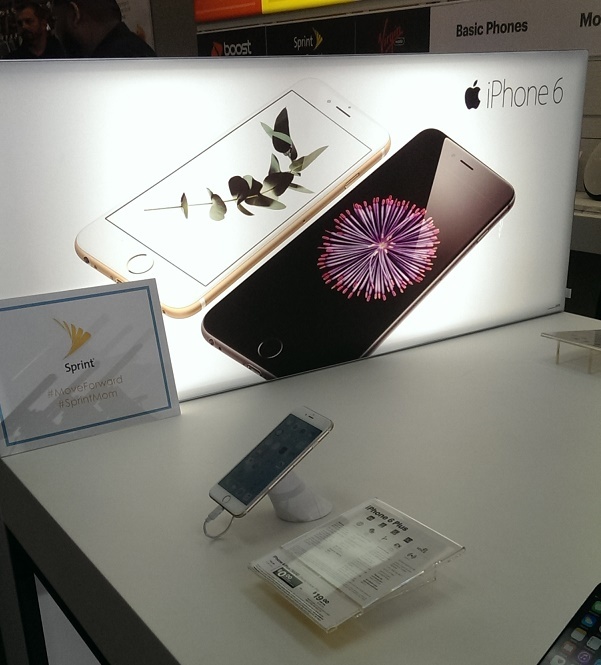 If you're an iPhone fan, you'll love Sprint's iPhone Forever plan. Trade in your current device (whatever the brand) and get the iPhone 6s for just $15 per month (the iPhone 6s Plus is $19 per month). When the next model of the iPhone comes out, you hand in your current iPhone, get the newest model, and keep paying the rate you're paying. You don't need a down payment, and you get to enjoy the latest and greatest iPhone! 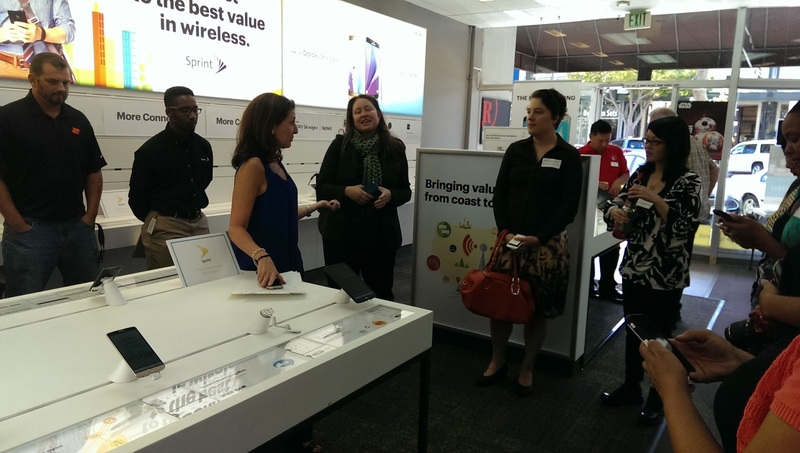 iPhones aren't the only hi-tech offerings at Sprint -- they also have all the latest Android devices such as Samsung Galaxy S6, Samsung Galaxy S6 edge, HTC M9, and LG G4. I'm an Android devotee myself, and since it's about time for me to upgrade my phone I've been checking out the Samsung S6 (my daughter has an S5 which she loves) and the HTC M9 (My last 2 phones have been HTC). Be sure to check out Sprint online or on Facebook for more details on these great services, plans, and phones. 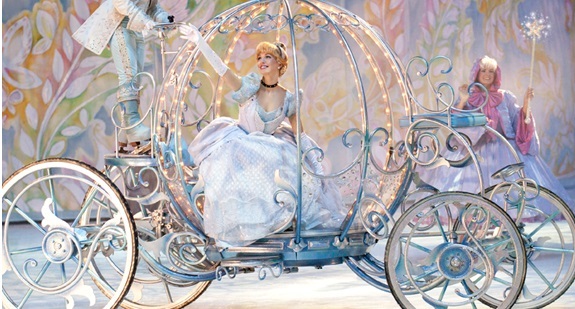 Have you purchased your tickets to Disney On Ice yet? They will be in Oakland from October 7-11 and in San Jose from October 14-18! 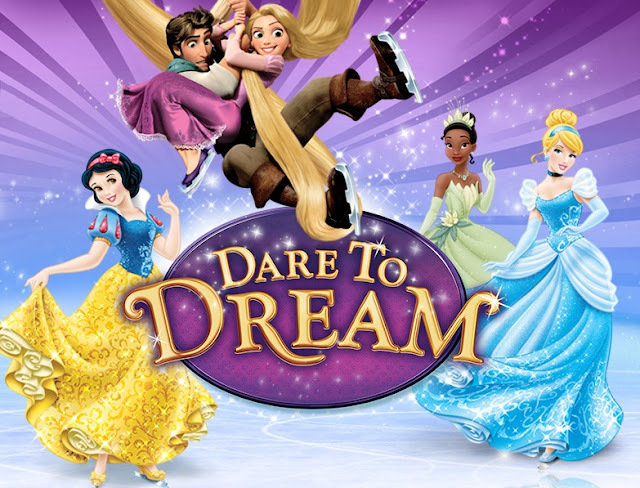 Disney on Ice has become a tradition for many families, and this year, they are back with everyone's favorite princesses including Rapunzel, Snow White, Cinderella, and Tiana. Of course, Mickey and Minnie will be there too! The whole family can sing along to familiar tunes and marvel at the performers gliding and twirling along the ice. Put Disney On Ice presents Dare to Dream on your calendar and prepare to be dazzled! Come early, and while you're waiting, give your kids this fun activity book to keep them busy and excited! Just download and print, and you're good to go. Purchase tickets on Ticketmaster.com, at the venue box office, or by calling 1-800-745-3000. 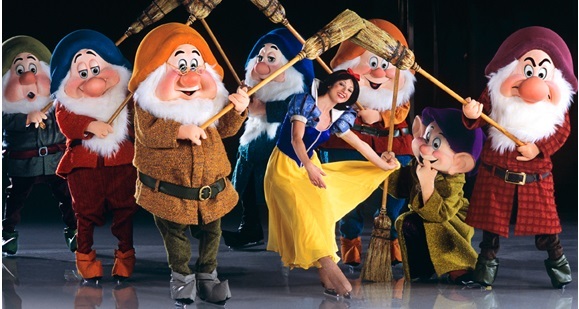 For dates and times in other cities, go to the Disney On Ice website. Enter via Rafflecopter below. Giveaway ends 11:59 PST on Sept 18, 2015. I will draw a winner after that date and post their name once the winner has been confirmed and verified. Continental US residents only. For more giveaway rules, click here. Good luck! Disclosure: Giveaway prize provided by Feld Family Entertainment. I am a Feld Family blogger and will be receiving tickets to review the show. The views and opinions expressed here are my own. 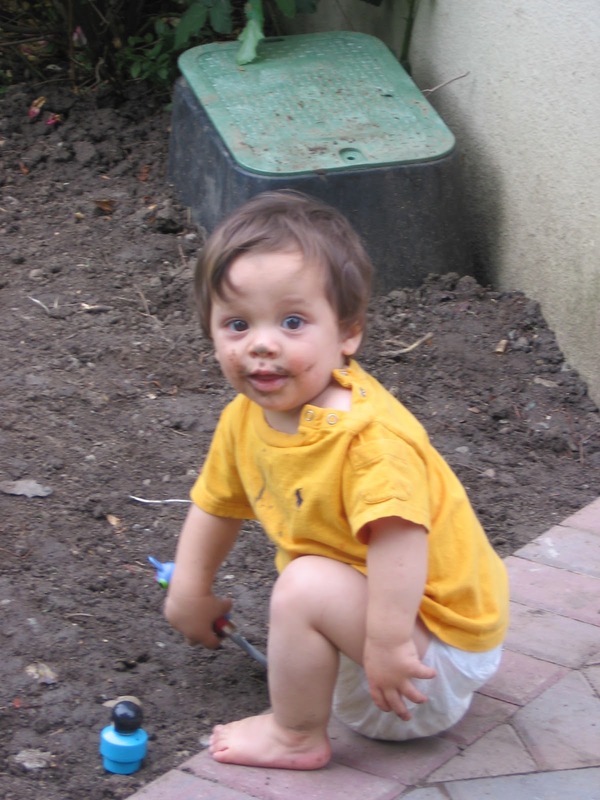 Yeah, I remember diaper sag! Poor babies, waddling around with diapers dragging to their knees! Pampers Cruisers is trying to eliminate diaper sag with a new design that evenly distributes diaper wetness, keeping baby drier and happier. 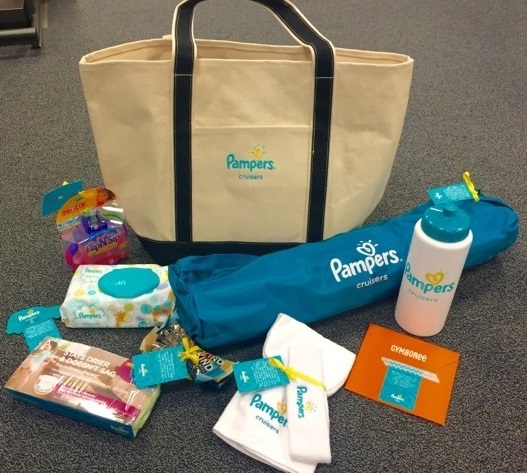 Pampers is celebrating their new product with a nationwide tour, which heads to San Francisco on Sunday, September 20. Keep reading to find out more, and to enter to win a Pampers Cruisers gift pack! The Pampers Cruisers #SagToSwag Tour arrives in San Francisco on Sunday, September 20, just outside the entrance to the San Francisco Zoo. (Zoo entry fee is not required for this event.) At the tour stop, babies, toddlers and their parents will get free Pampers Cruisers sample diaper packs, enjoy fun and interactive activities and learn about the new Pampers Cruisers. 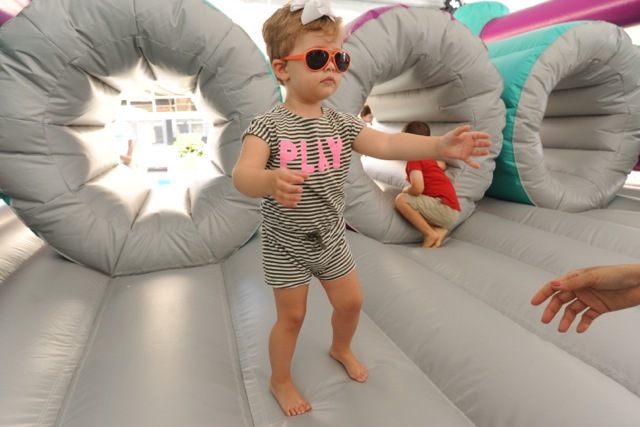 With music, dancing, inflatable slides, a video booth and more at each stop, babies will be showing off their one-of-a-kind swag. 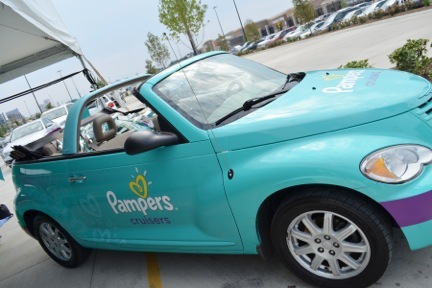 This summer, The Pampers Cruisers #SagToSwag Tour stopped in New York, Chicago, Dallas, Los Angeles and now, San Francisco. As part of Pampers commitment to supporting the happy, healthy development of each baby and making life #BetterforBaby, Pampers will make a diaper donation at each Pampers Cruiser stop, continuing the brand’s mission to provide millions of diapers to Feeding America for U.S. families in need each year. WHEN: Sunday, September 20, 11 a.m. – 3 p.m.
At the event, Pampers is pleased to welcome local SF non-profit Growth & Learning Opportunities, which is setting up a donation station for victims of the Lake County, CA fires. We are asking those visiting the Pampers Cruisers #SagToSwag Tour and the SF Zoo who would like to donate to bring new or gently used baby items, including clothing and shoes for newborns to size 5T, toys and other small items for babies and toddlers (we are not asking for donations of diapers and wipes as those are already being donated by Pampers). New and improved Pampers Cruisers diapers with Extra Absorb ChannelsTM help little ones stay drier and do not sag like ordinary diapers* – helping babies go from sag to swag. While a poor fitting or saggy diaper can limit babies’ freedom of movement, new Pampers Cruisers have three channels in the core of the diaper that distribute wetness evenly and help prevent diaper sag, helping babies move without restriction. While the design of Pampers Cruisers has changed, these diapers are made from the same safe and mild materials as before. Enter via Rafflecopter below. Giveaway ends 11:59 PST on Sept 30, 2015. I will draw a winner after that date and post their name once the winner has been confirmed and verified. Continental US residents only. For more giveaway rules, click here. Good luck! Disclosure: Pampers provided me with the giveaway prize pack as well as a second pack for me, for posting information about the #SagToSwag event at the SF Zoo. The views and opinions expressed here are my own. 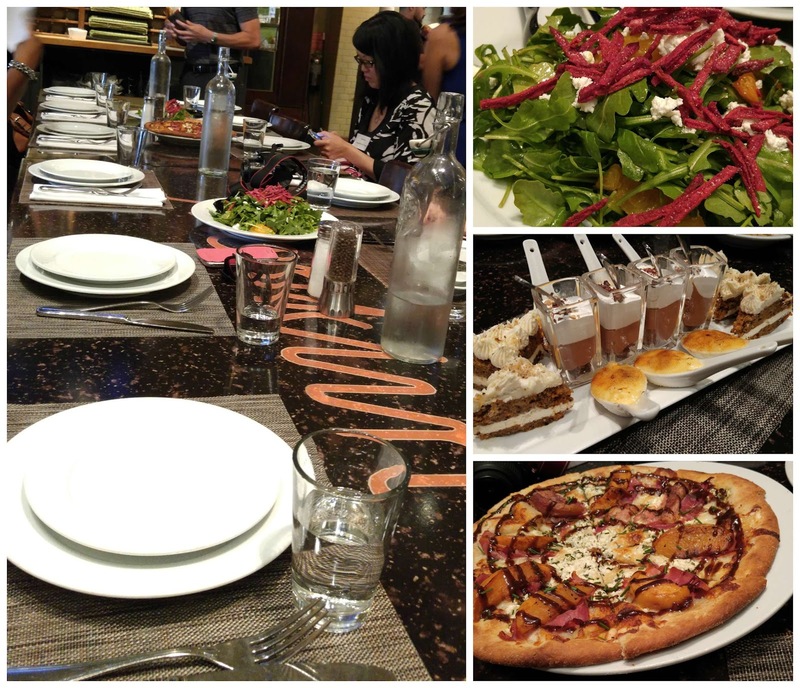 We've just returned from a whirlwind 3-day trip to Seattle! We had a great time despite a crazy one-off rainstorm and lack of time to see and do everything we wanted. We walked all day, so by the time our trip ended, we were exhausted! 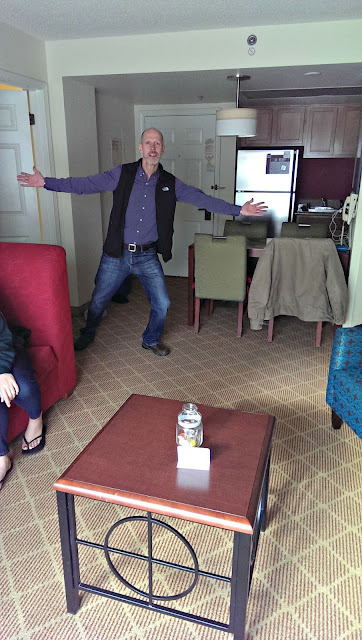 Thankfully, our home away from home was the Residence Inn by Marriott in downtown Seattle, so we were able to recharge our batteries each night and wake up with a spring in our step. 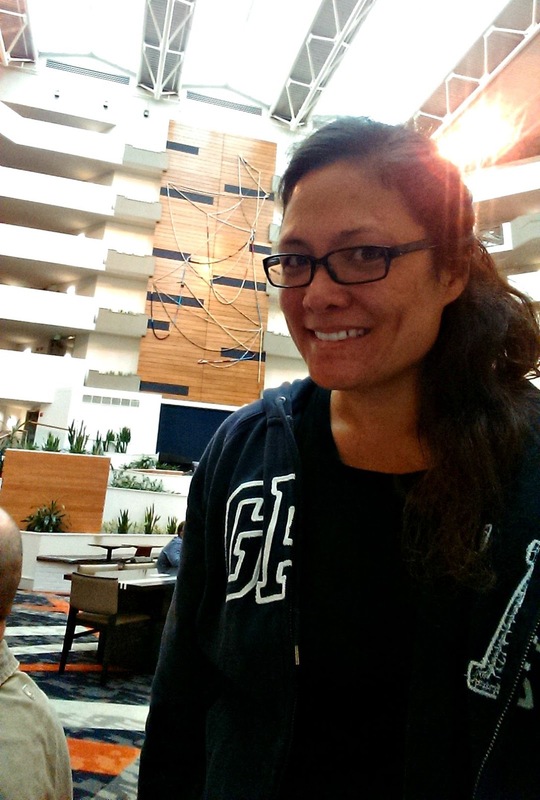 Although this was my first trip as a Resident Blogger Ambassador for Marriott, I've stayed at the Residence Inn multiple times in the past, and I've loved each and every night. The Residence Inn is known for extended stays, but all the amenities they offer makes them great for short stays as well! It's also great for families, especially larger families with 3 or more kids. 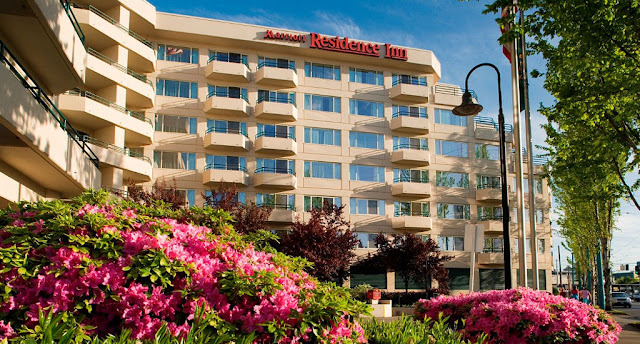 The Residence Inn in downtown Seattle is located on the shores of Lake Union. The location is almost perfect! It's just steps away from the Seattle Streetcar, a trolley that gets you to downtown Seattle and Pike Place Market in just a few stops. From there, you can take the Seattle Monorail to get to the Space Needle, Chihuly Garden, EMP museum, or science museum. You can also catch the Link Light Rail to Century Link Field, Safeco Field, Chinatown, and more. You could even rent bikes on the shores of Lake Union and bike around the lake! Like I said, a practically perfect location (the only reason I can't say it's perfect is because there are no cafes or restaurants nearby). The interior is gorgeous. Rooms and suites are arranged around a central atrium under a glass roof, so the area is drenched in natural light. There's a soothing waterfall and an amazing sculpture about 6 floors high. After a whole day out and about, entering the lobby is like entering a soothing, relaxing oasis. We booked a 2-room suite, so getting to our room felt even more like home. 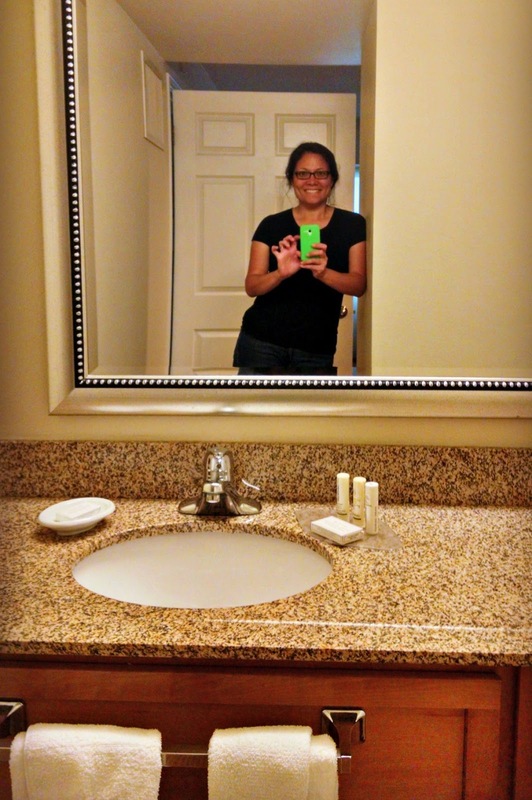 Our suite had a kitchenette with stove, refrigerator, microwave, and sink. The living room had a sofa, armchair, and tv for relaxing, as well as sliding doors that opened up to an outdoor patio. Many of the suites face Lake Union, so those lucky suites are treated to views of the lake and the Space Needle in the distance. One bedroom had a king bed, and the other bedroom had 2 queen beds, so there was plenty of room for all of us. The living room also had a sofa bed, so the entire suite sleeps up to 8! It was so nice to be able to spread out and not have to fight for space in the closet, or fight for charging outlets, or time in the bathroom (each bedroom had a bathroom so we could shower in tandem and get everyone to bed as quickly as possible). Each bath had Paul Mitchell toiletries, fluffy towels, and a hair dryer -- which really came in handy when we stumbled in one night, drenched from head to foot from a Seattle downpour. 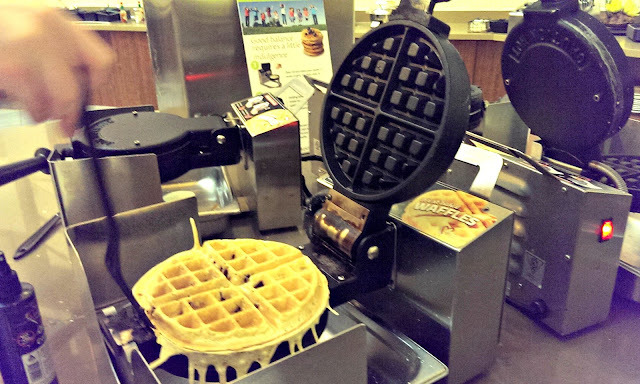 Having free hot breakfast every morning also made things so much more convenient -- not having to look for somewhere to eat, not having to spend time ordering food and waiting for it. It made getting up and out for a day of walking and sightseeing so much quicker and easier! 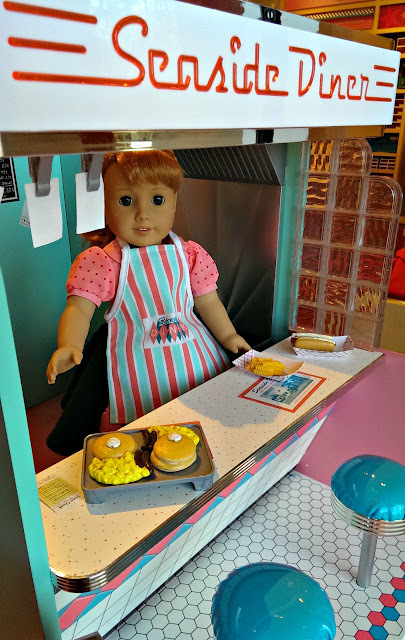 There were so many choices, from fresh waffles to fruit and cereal and yogurt, to pastries and bagels, to hot dishes like eggs florentine, biscuits and sausage gravy, and scrambled eggs. Soft, delicious cookies in the afternoon! Tea and coffee all day! Salt scrub in the lobby restrooms so you can give yourself a quick hand massage! Free boarding pass printing station! Helpful staff who were always ready to give advice and directions on where to go and what to do! Staying at the Residence Inn made our trip to Seattle so much more relaxing and fun. We felt so comfy and pampered during our stay! I highly recommend it to anyone. 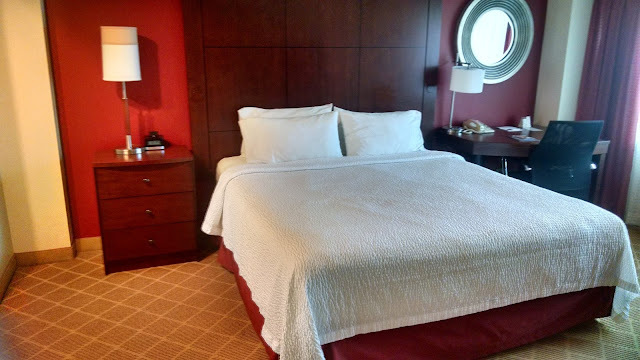 Disclosure: I am a Resident Blogger Ambassador for Residence Inn by Marriott, and I was given a gift card to experience the Residence Inn while traveling with my family. No other travel expenses were provided. The views and opinions expressed here are my own. A few weeks ago I blogged about a great online site that lets you preserve your family's best memories in a photo book. AdoramaPix lets you create high quality photo prints and photo books, supervised by professionals who watch over every photo. AdoramaPix has been serving the needs of the photographic community for over a decade. and now they have an online site and app for the everyday consumer who wants great quality photo products at reasonable prices. 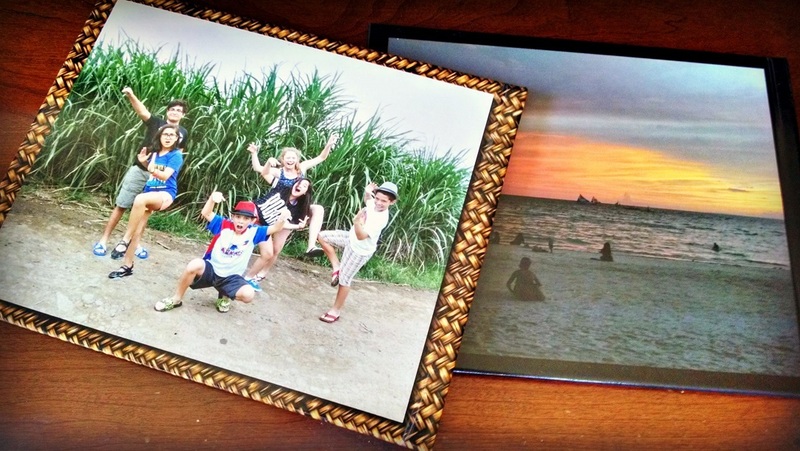 Prices start at just $15.40 for a small photo book (6x4.5). The base prices for each size include 10 pages, and extra 2-page spreads start at $1.08 for each additional 2 pages. Shipping over $39 is free, so you can combine multiple photo book orders to save money. Their lay-flat design lets you see the whole page, without any gaps or seams to mar your photos. 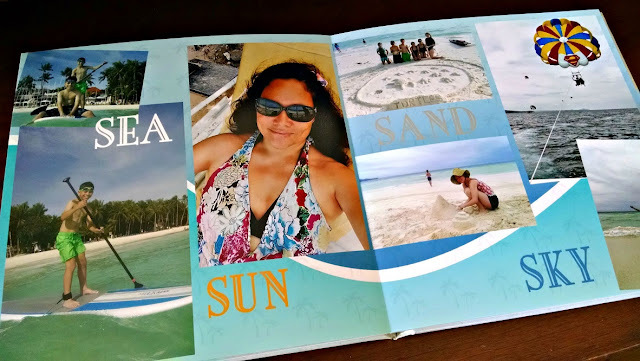 I was able to try out AdoramaPix's online photo book software to create a few photo books for myself, and now that they've arrived, I'm so happy about the quality that I could do a little dance! The photo books are absolutely gorgeous, and there were so easy to make. 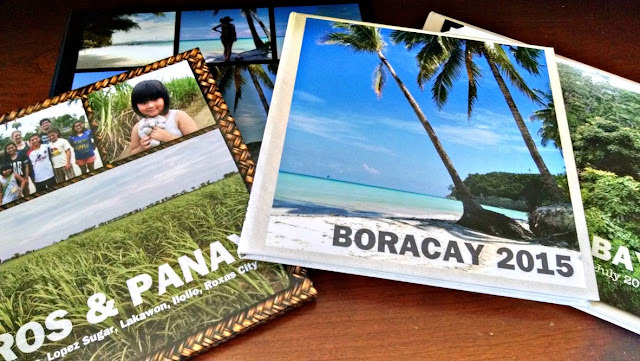 AdoramaPix photo books come in a variety of sizes. 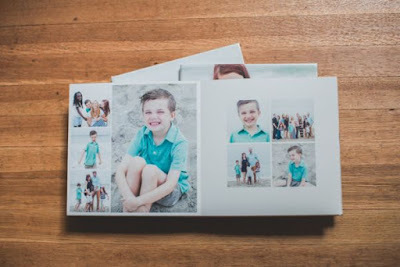 My personal favorites are the 8x12 books (perfect for your gorgeous photo spreads) and the 8x8 square books (perfect for your Instagram photos!). I've reviewed a number of other photo book sites, and I must say that I like the layout options of AdoramaPix best of all. For those of you who aren't into stickers and scrapbooky-type layouts, AdoramaPix has quite a few layouts that have photos only. This was probably the least amount of time I have ever taken to create a photo book, simply because I found the perfect layout right away. Of course, you can still customize your layout any way you want, by adding text, stickers (check out the shell stickers in the layout below! ), and backgrounds. If you don't like any of the layouts AdoramaPix provides, you can change their layouts or create your own. It helps to be familiar with scrapbooking software, otherwise it might take you a bit of time to become familiar with the process. You can save your work and come back to it at any time, and you can preview your work at any time. The cover is fully customizable. You can choose from any number of backgrounds, from solid colors to ombre to textures (like the grass mat weave below) and more. You can select from a number of photo layouts (note, this does not apply to leather covers), or you can choose to have no photos at all. You can also add text to the cover and the spine. You can also customize the outer back cover with photos and text. 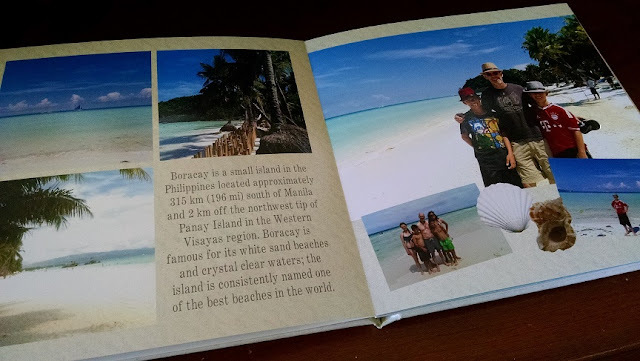 Adding a white page "spread" to the inner front and back covers costs an extra $2, but they will waive the charge if you consent to having the AdoramaPix logo printed on the inner back cover of your photo book. 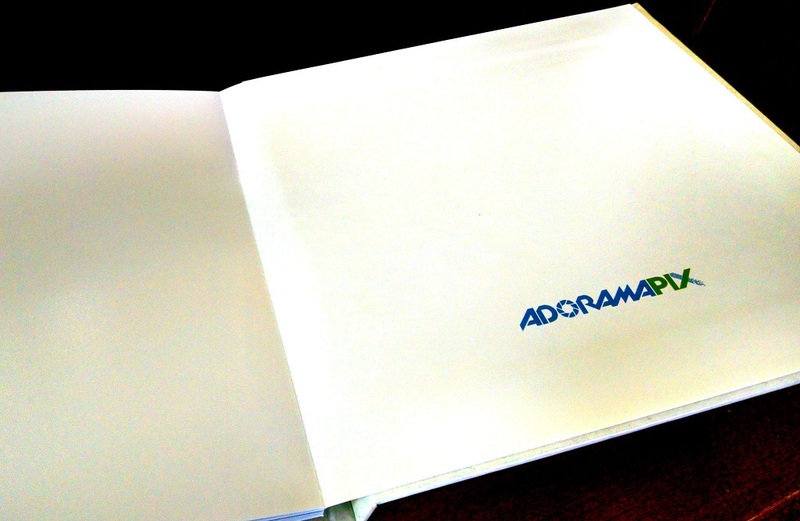 Totally worth it, if you ask me -- besides, people who look at your photo books are sure to ask you where you made it, so you can direct them to the inner back cover to see the AdoramaPix logo! 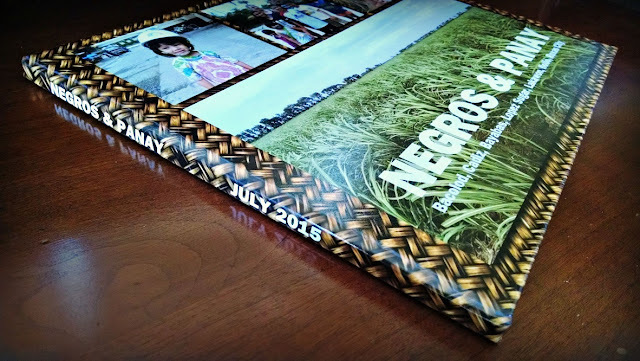 Want to create your own AdoramaPix photo book? Here's a discount code you can use to save! Maryellen Larkin has arrived! 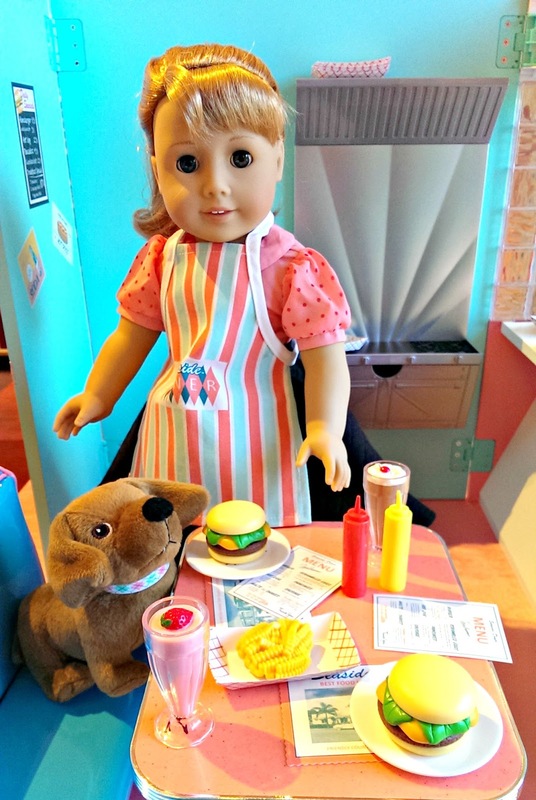 American Girl doll fans have been waiting a long time for a 1950's doll, and she is finally here. 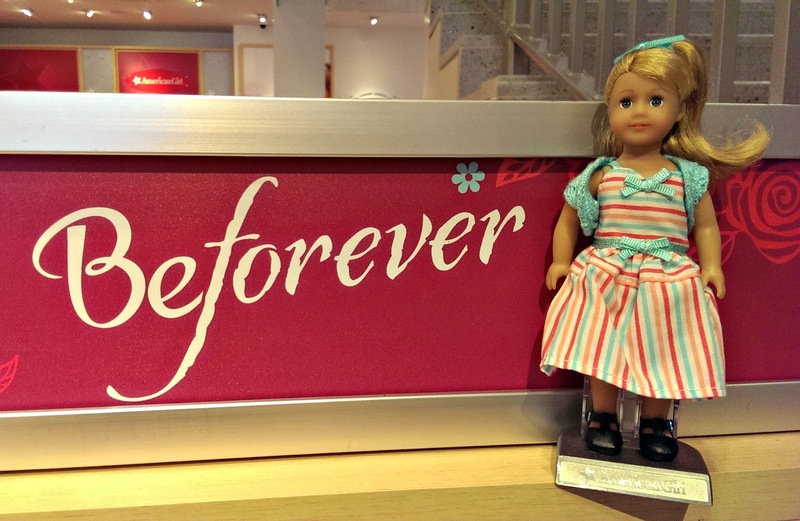 Maryellen is an optimistic, energetic 9 year-old girl who lives in Daytona Beach, Florida, in 1954. Maryellen likes TV and the movies, and she likes to draw. Maryellen's story brings the 50's to life -- not just the iconic sock hops and poodle skirts and diners that everyone knows from West Side Story and Grease, but also the underlying cultural movements that shaped the era, such as conformity versus individuality, the rise of suburbia, the baby boom, and lingering postwar prejudices. I haven't begun reading Maryellen books yet, but I'm really hoping they introduce girls to all these themes and make them think about how the 1950's influenced our lives today. Here's the Seaside Diner playset, which includes the structure, furniture (with real vinyl on the stools and booth! 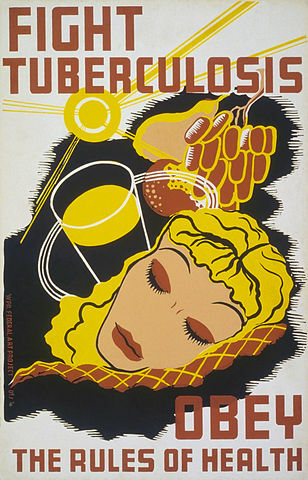 ), and diner-style food. Here's another view of the diner, from the inside. Also in the photo is Maryellen's daschund, Scooter. Here are a few of Maryellen's outfits. I adore her black poodle skirt! Here's Maryellen's Jukebox. 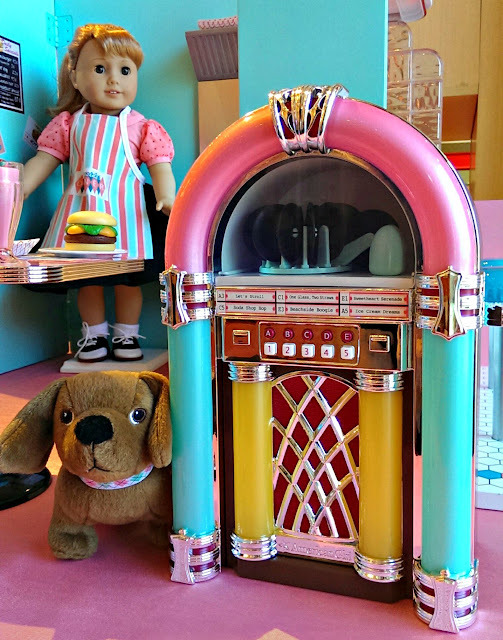 It comes with an audio cable so girls can attach their MP3s or phones or tablets and play their own music from the jukebox! Here's another view of the diner. 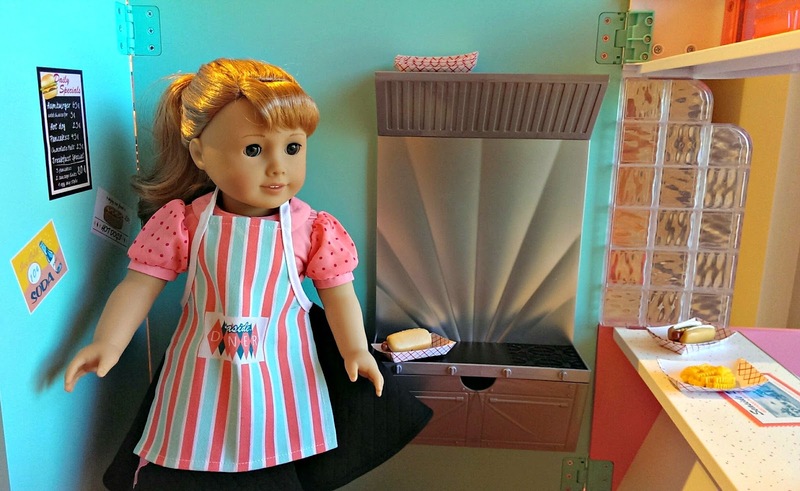 It even comes with a sticker sheet so girls can decorate the walls themselves. 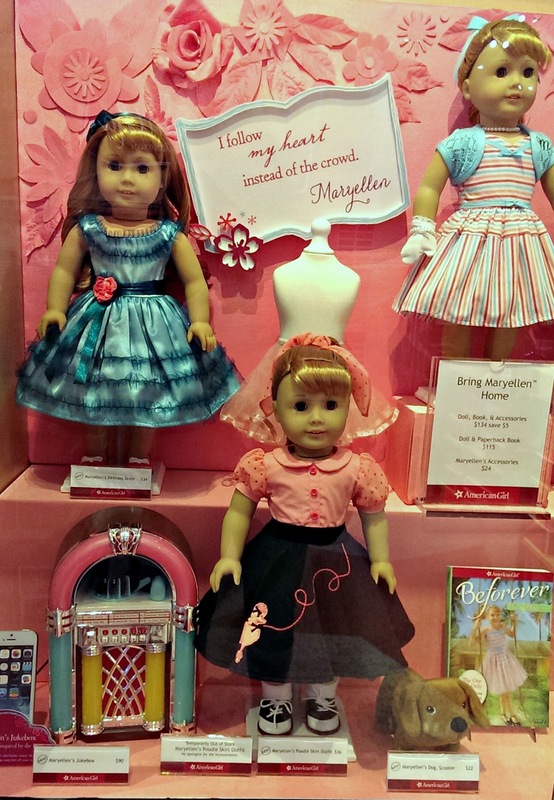 Here's Maryellen's mini-doll version. So cute! I'm super happy because American Girl sent me a Maryellen doll to review, so stay tuned for a few more posts with close-up photos of Maryellen! 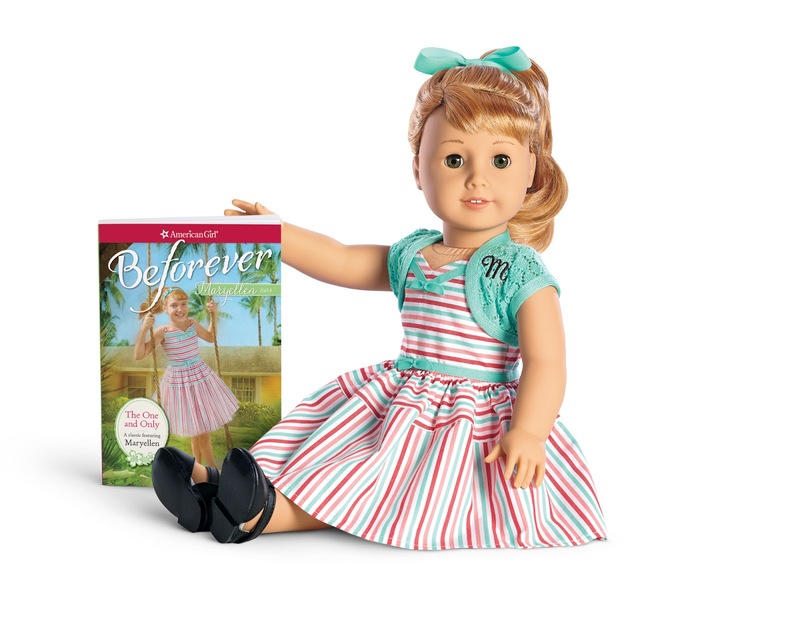 In addition, I'm giving away a Maryellen doll below! One lucky Bonggamom Finds reader will receive a Maryellen Larkin doll and book!